Not so long ago, if you asked a business executive, “what is the most irreplaceable part of your business?” they might have pointed at their building or their employees. The really forward-thinking execs may have chosen their customers. But the reality is that businesses have insurance to deal with the loss of a building; they can hire new employees; and they can acquire new customers. The one thing that is truly irreplaceable is their data. Lose that and you really are out of business. The potential risks to your data can be as subtle as the malfunction of tiny areas on a disk drive or as enormous as the failure of an entire data center. That means it’s not enough just to protect your data — you must also select the best way to protect it. To deliver that protection in an economical and rapidly recoverable way requires a system that gives you complete control to determine levels of data protection based on the type of data. 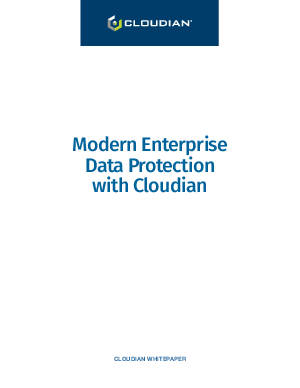 In this paper, we’ll talk about the science of data protection and the advantages a Cloudian object storage system provides in keeping your data safe, easily recoverable and highly available.